Razer are buffing their range of external graphics enclosures with the new Razer Core X. Like the company's previous Razer Core, the Core X promises to transform integrated graphics laptops into desktop-class gaming machines by leveraging the technical grunt of an external graphics card. 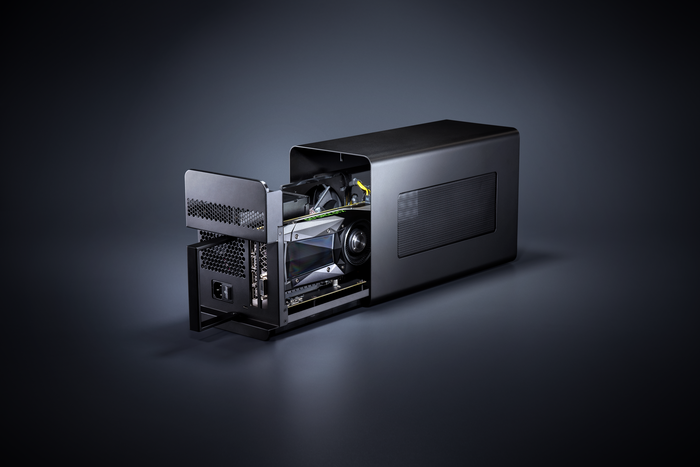 However, the key difference between this and the previous Core unit is that the X features an expanded internal design with a wider aluminium shell to accommodate up to 3-slot wide desktop graphics cards. 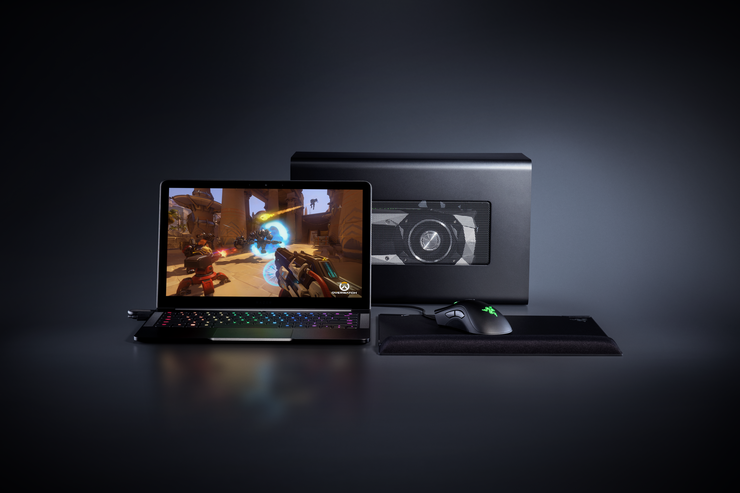 According to Razer, "the Razer Core X embraces plug-and-play capabilities with the Thunderbolt 3 (USB-C) connection to the laptop. This eliminates the need for lengthy reboots every time the external graphics enclosure is connected. The convenient Thunderbolt 3 connection also yields fast speeds at up to 40Gbps." The Razer Core X also houses a massive 650W ATX power supply to provide adequate power for the latest and future graphics cards and comes with open heat vents and additional desktop-grade cooling to dispense heat and ensure optimal thermal performance when in use. Internationally, Razer will be selling the Core X from their own online storefront from today (to customers in United States, Canada, United Kingdom, France, Germany, China) at an asking-price of USD $299. In Australia, the Razer Core X is priced at $469.